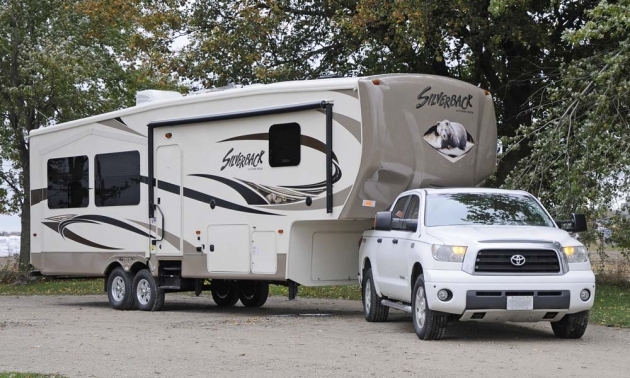 We towed the Silverback fifth wheel with a Toyota Tundra powered by the i-Force 5.7L V8. The combination was smooth and steady on the road, with plenty of pep and good fuel efficiency. Google Toyota Endeavor to see the Tundra towing the space shuttle! With a rear entertainment centre that can be outfitted with an optional fireplace, the Silverback is fully equipped for all your RV adventures. 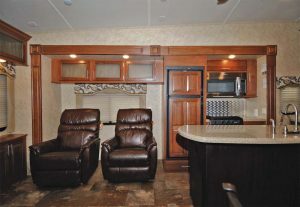 The facing slide-outs in the rear section of the trailer create a very spacious livingroom. The cathedral ceiling slide-outs are unique – headroom is excellent. 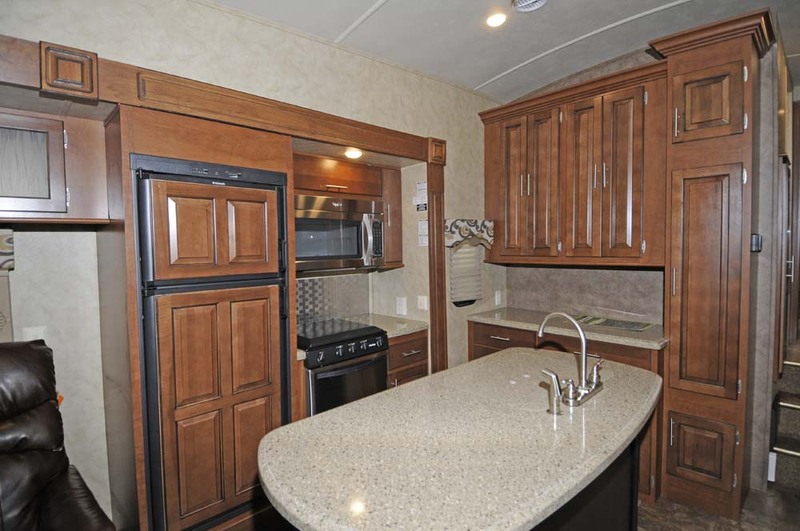 The Island Kitchen floorplan provides lots of counter space – add a few bar stools and you have a rec room on wheels! 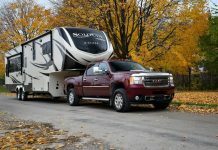 Balance and road handling are critical considerations when serious RV travellers select the ideal fifth wheel for their family, and the Cedar Creek Silverback 29IK certainly excels in all categories. We were impressed that the manufacturer specified high-quality rolling components – like the Dexter E-Z Flex Rubber Equalization System with greased lubrication Zerks and bronze bushings, E-Z Lube hubs, and Dexter Nev-R-Adjust brakes. 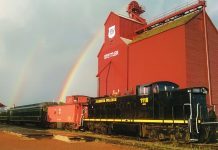 The 16” tires on aluminum rims are ideally suited for this size and type of trailer, and there is a full-size spare in a front storage compartment. 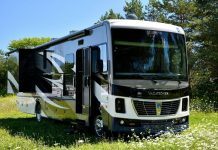 Well mannered on the road, easy to tow and easy to manoeuvre in the campground, this fifth wheel is ideally sized for a couple or a family of four. 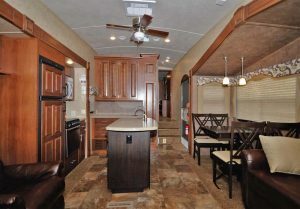 There are three Silverback models that RV enthusiasts should look at to decide the ideal floorplan for your tastes. The 29IK (which we tested) features three large slides and an island kitchen. The 29 RE also has three slides, but the kitchen is placed against the bulkhead separating the front of the unit from the rear. Both of the 29 models measure 33’11” overall length. The slightly larger 31 RK model features a rear kitchen – this model is 35’4” overall length – that’s 15 inches longer, and a bit more spacious in the rear lounge area. All three Silverback models feature a cathedral ceiling slideout on the passenger side of the trailer, and another for the bedroom area – a very distinctive design that adds to the curb appeal as well as creating a very spacious interior. 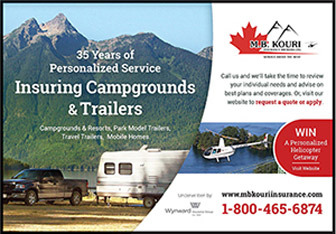 The 29IK and the 31RK are new floorplans for 2014 – we picked the 29IK model with the “Rattan” décor package. 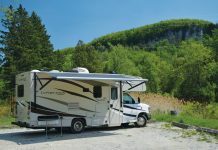 The Silverback fifth wheel embodies the latest in RV engineering and technology, with aluminum studded sidewalls and roof trusses on 16” centres, or less in some areas, just like a house. The floor structure utilizes 2” x 3” aluminum studs. The full-length 3/8” wood roof decking is designed to create a full-length “walk-on” roof. As the engineers explain, “the roof features two layers of R-14 residential home Eco-Batt Glasswool insulation and a Thermo-Foil radiant shield layer… the triple layer of insulation supplements the cohesive retention factors of the roof decking and the “Tuf Ply” 2-ply rubber roof membrane to provide a calculated R-value of 38. 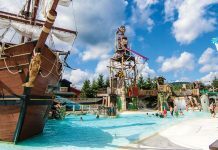 “The roof membrane has built-in fire retardant and carries a 12-year warranty. The 5” radius roof is bolted to the sidewall with 5/16” x 3 ½” carriage bolts. The Silverback has 12V heating pads on all of the tanks in the enclosed underbelly, and your “basement area” has an insulation value of R-38. Forest River Inc., the manufacturer of Cedar Creek Silverback trailers, utilizes a thick Silaprene (475 PSI) to guarantee solid contact between the gelcoat and aluminum frame without lamination. Sidewalls have an R-9 insulation value. Every aspect of the Silverback impressed us with the choice of materials and build quality. Even the front storage compartment access hatch was insulated, producing a 1 ¼” thick door. 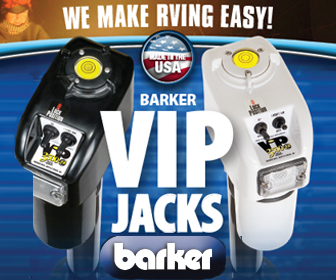 Setting up your Silverback is a breeze with hydraulic front leveling jacks – or you can order the six point hydraulic automatic leveling system, which makes campsite set-up and departure really easy – our test unit had this optional “Level- Up” system by Lippert, and we strongly recommend that you select this option if you plan to travel on a regular basis. This levels the unit to within 1/10 of an inch in less than 60 seconds. 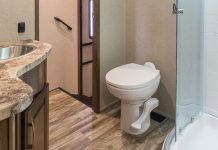 The Silverback has a convenient central docking station with water and sewer system hookups, slide room valves, and a water filtration system that services the entire trailer – not just the galley. 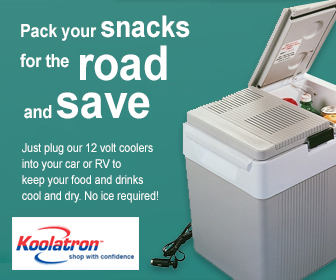 The electrical system includes a 55 Amp converter with charger and a 50 Amp Power Cord. You can order an optional 50 amp cored reel that is very convenient if you travel frequently. There is an outside shower in the docking compartment that we use for a range of tasks. We liked the entertainment options that are available with the island kitchen floorplan – you can seat two people at the dinette, and expand the table to accommodate two more adults. 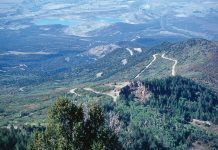 Our test vehicle was well equipped with the most popular options, and it really did not add that much to the bottom line. In each floorplan, the 39” LED television is easily viewed from the Lux La-Z-Boy matching hide-a-bed sofa and recliners, which offers a lifetime warranty on all parts. 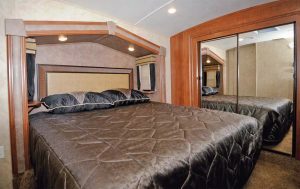 The front bedroom is spacious, with easy access to move around the standard queen size bed. The full-width closet has plenty of space for hanging clothes. The unit is pre-wired for an optional Splendide washer/dryer combination. A vanity at the foot of the bed provides drawer space and a convenient computer desk. The optional LCD TV is wall-mounted to save space. The front bedrooms in all three of the Silverback models that we looked at were essentially identical. 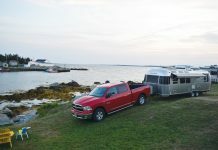 It is obvious that the designers have logged significant time in the campgrounds – there is plenty of room to move around the bed, the closets and drawers are well suited to a vehicle of this size, and the fit and finish is excellent. We were particularly impressed with the Serta® Residential Dreamscape Mattress, which is a very high quality product for RV or residential applications. There is also a pillow top “Trump” mattress upgrade available on all Silverback floorplans for added luxury. For those who prefer to have their laundry appliances on-board, the Silverback is pre-wired for either a combination, or stackable washer/ dryer unit. 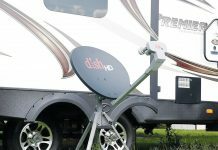 All of the materials and components in the trailer are ideally suited for a comfortable and easily maintained RV experience. We liked the Congoleum® Diamondflor™ in the galley and bathroom areas, and the Shaw® carpeting in the bedroom. Our test vehicle was outfitted with a free standing dinette table and chairs. You can order a dinette with bench seating that converts into a bed. The Silverback 29IK is well suited for the Canadian climate with ducted heating and air conditioning controlled by a digital thermostat. A 15,000 btu roof A/C is standard, and you can order an optional Penguin 13,500 BTU ducted A/C unit – the trailer is braced and wired for installation of this option at your dealership. The trailer has LED lighting that carries a lifetime warranty – that’s better than the lighting in most homes! The central washroom in the Silverback features a 30” x 48” rectangular shower with sliding glass doors and a large seat, and a porcelain toilet with top swirl flush. A Bathroom Breeze Fantastic Fan helps vent the moisture from this area. The Silverback is very well equipped with a large refrigerator, 30” microwave oven, stovetop and conventional oven. Counter space in the 29IK is excellent, with the island doubling as a bar for entertaining guests. 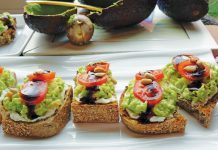 There is a generous amount of pantry and cupboard space, and all of the drawer and cabinet hardware are first-class. Above the galley, a Create-A-Breeze Fantastic Fan with rain sensor provides light and air flow – the fan can draw in air or exhaust cooking odours. 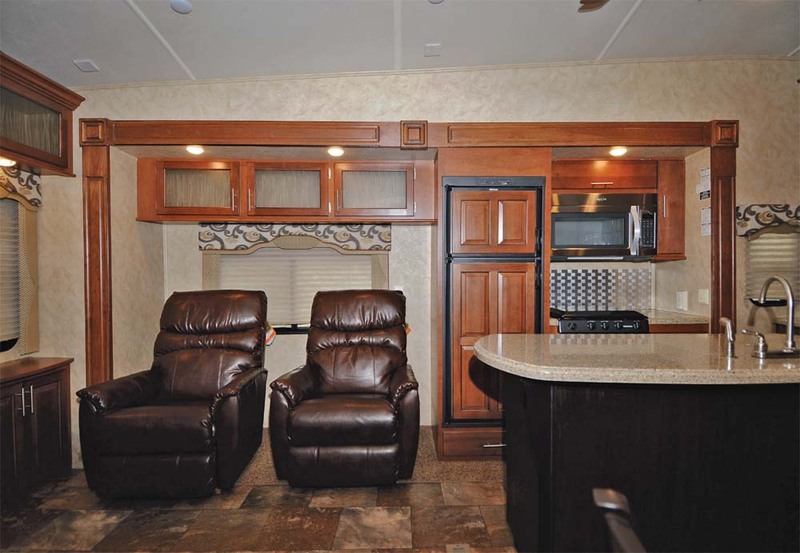 The Silverback units from Cedar Creek represent an excellent value in the mid-range fifth wheel market. The units are very nicely equipped from the factory, and you can select a wide range of optional upgrades. For a limited time, a special package of options is offered at NO CHARGE with a retail value of $3,660. 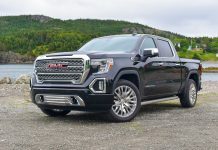 This includes rear electric jacks, 50 amp cord reel, rebond carpet pad, fireplace, 1-1/4” bike rack receiver hitch, Hehr automotive frameless windows, upgraded 39” LED TV in the living area, and Lux La-Z-Boy matching hide-a-bed sofa and recliners. 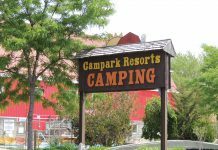 All in all, an excellent choice for the family looking for a fifth wheel trailer that loves the road, and makes a wonderful home away from home in any campground.